The Three Towns Blog: Happy Valley Entertainers - the Return? 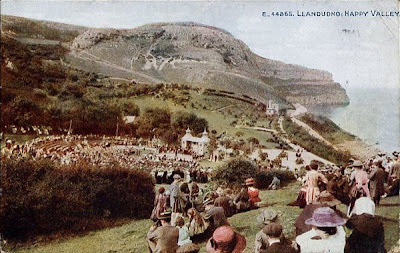 They were followed by such resident acts as Perry's Happy Valley Minstrels, The Happy Valley Entertainers, Charles Wade's Concorde Follies and The Great Waldini and his Gypsy Band. 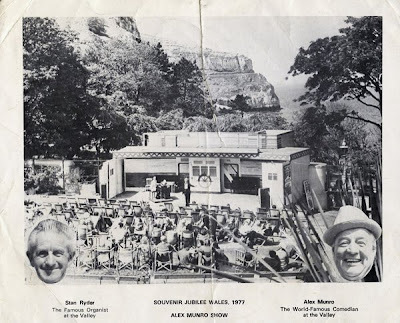 Of course, the heyday of this entertainment was when Alex Munro had his daily afternoon show at the Happy Valley Entertainers open air theatre in the Happy Valley in the 1960s, 70s and 80s. In the 1970s, Alex was holding 3 shows daily, 7 days a week, for an 18 week season.That added up to over 116,000 people watching his show in a typical year. 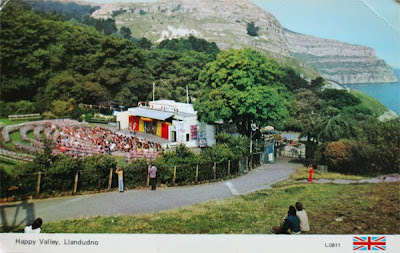 Sadly, the Open Air Theatre seen in the above photos was left to rot after Alex Munro left and ended its days as a wreck after a serious fire in October 1987. 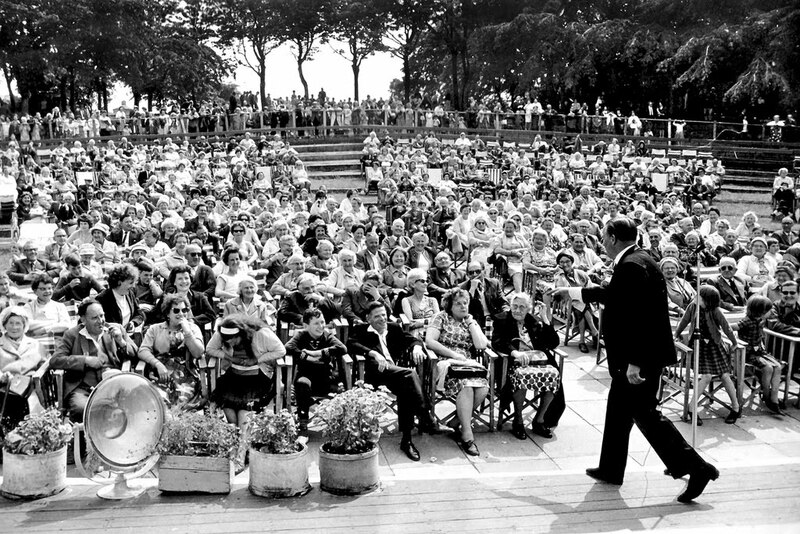 It was later demolished and the area landscaped as part of the Heritage Lottery Fund's £500,000 grant to renovate the park in 2000. Interestingly, the original plans by Howard Price of Ashley Price Associates for the redeveloped area included a stage for outdoor performances but this never materialised. Obviously, the site of the Open Air Theatre is no longer suitable for use and I'm certainly not suggesting that a return to the daily afternoon show is a possibility...but...maybe a show or two every year on a balmy weekend afternoon or evening in August? 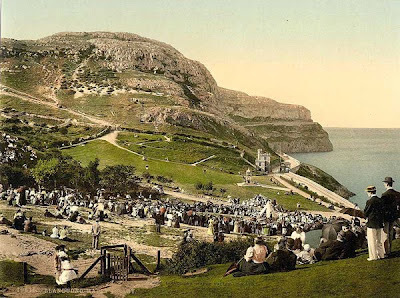 Set up deckchairs in a semi circle on the large lawn in front of the Happy Valley Cafe, organise a small stage behind the Queen Victoria Statue, round up some talented individuals from Llandudno Musical Productions or the Trinity Players and you might just be in business. It would be just like the old days...and I'm sure Alex Munro would approve wholeheartedly! The Happy Valley Lawn, suitable for outdoor entertainment? (Photo Credit).